Villa Baan Dalah is a three-bedroom villa facing the golden sands of Big Buddha Beach, having uninterrupted views of the Gulf of Siam. 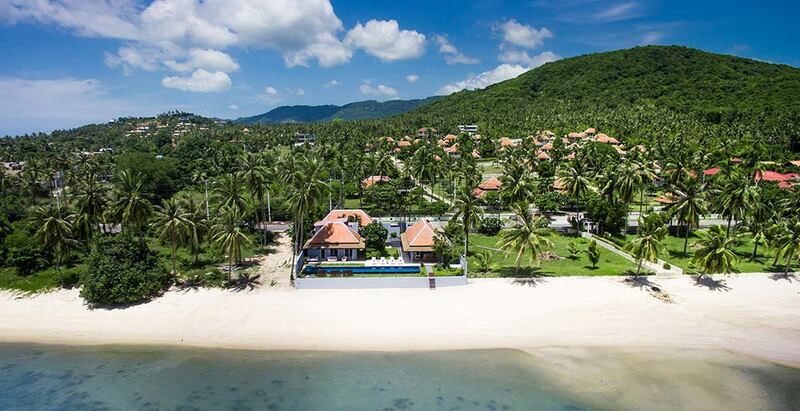 This beachfront property is just 10 minutes from the airport and within walking distance to local shops, restaurants and bars of Bang Rak. Villa amenities include 19m private pool, contemporary indoor and outdoor living areas including a fully fitted modern kitchen and satellite TV entertainment. A team of full-time staff including a villa manager, housekeepers and a cook take care of all guest needs.